Japan Yen and U.S. Dollar notes are seen in this June 22, 2017 illustration photo. LONDON - The dollar fell against the Japanese yen and the Swiss franc on Monday as concerns about geopolitical risks following North Korea’s latest nuclear test over the weekend prompted a rush to traditional currency hedges. Moves were confined within broad trading ranges, however, as investors assigned a low probability of a full-scale conflict breaking out. “Rising geopolitical tensions have pulled the dollar below the 110 yen levels and though we are surprised by how events have unfolded in the last 48 hours, markets are unlikely to react much to this unless this escalates into a conflict,” said Commerzbank foreign exchange strategist Thu Lan Nguyen. The heightened risk aversion followed news on Sunday of North Korea’s sixth and most powerful nuclear test, prompting the United States to warn of a “massive” military response if it or its allies were threatened. The dollar came under renewed pressure against the yen on Monday afternoon and touched levels below 109.50, after South Korea’s defense ministry said it was still seeing signs that North Korea planned to stage more ballistic missile launches, possibly including an intercontinental ballistic missile. 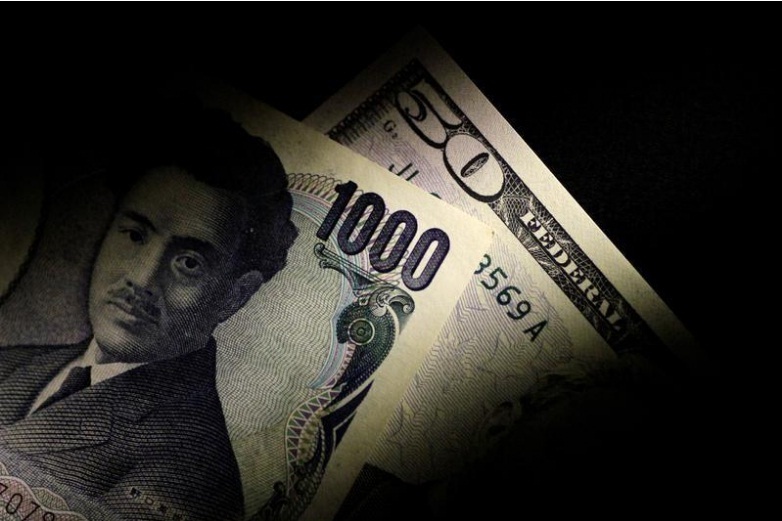 It fell 0.7 percent against the Japanese yen to 109.52 and weakened 0.5 percent against the Swiss franc. The broader dollar index .DXY was down 0.2 percent at 92.65 and not far away from a 2-1/2-year low below 92 last week. Low risk appetite turned global stock markets into a sea of red while precious metals such as gold XAU= and silver XAG= were each 1 percent higher. Despite the dollar’s weakness, the euro struggled to make progress as the overhang of large long euro positions and a European Central Bank policy meeting later in the week kept investors on the sidelines. Latest positioning data showed long euro positions at their biggest in five years. The euro rose 0.3 percent on the day at $1.1890 per dollar and was trading below a 2-1/2 year high above $1.20 hit last Tuesday.